Queen Victoria of the United Kingdom may have been the Grandmother of Europe, but her great-great-great-granddaughter, Crown Princess Victoria of Sweden, is often called the "Godmother of Europe." She's been chosen as a godmother of more than fifteen children, three of whom are expected to reign as monarch in their respective countries one day. 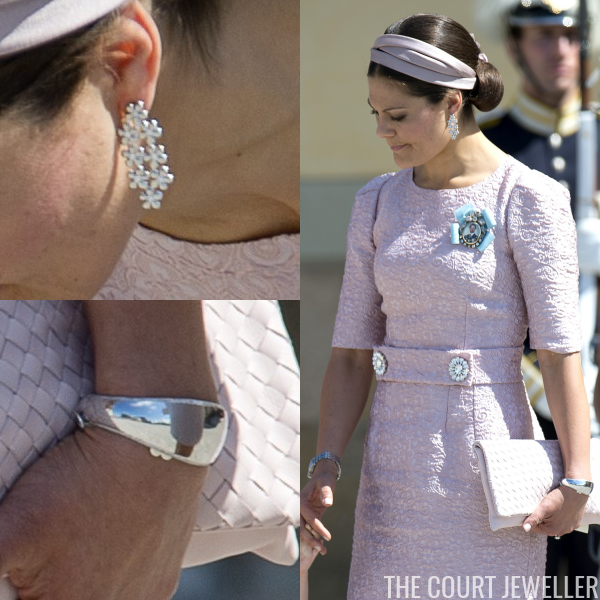 Here's a look at the jewelry she's worn at a few of her godchildren's royal christenings. Update: Victoria has another royal godchild to add to the list! 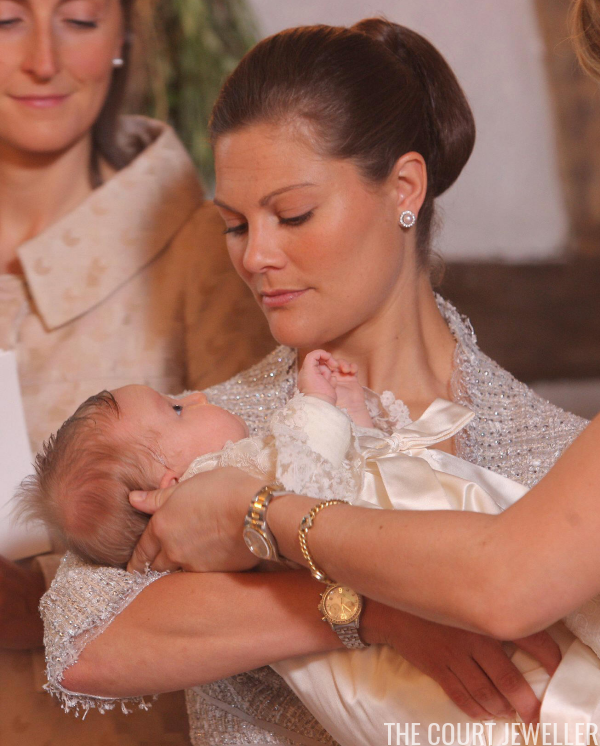 She'll be one of Prince Alexander's godparents at tomorrow's christening.